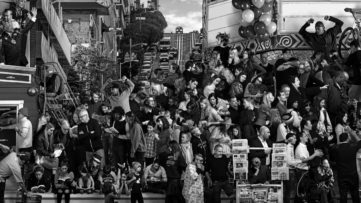 Though immigration and ballet may seem like two irreconcilable processes, for the celebrated street artist and photographer JR these two have proved to be equally inspiring. His latest exhibition presenting works influenced by the fortitude of immigrants and the beautiful art of ballet, will be on view at Lazarides Rathbone gallery in London. 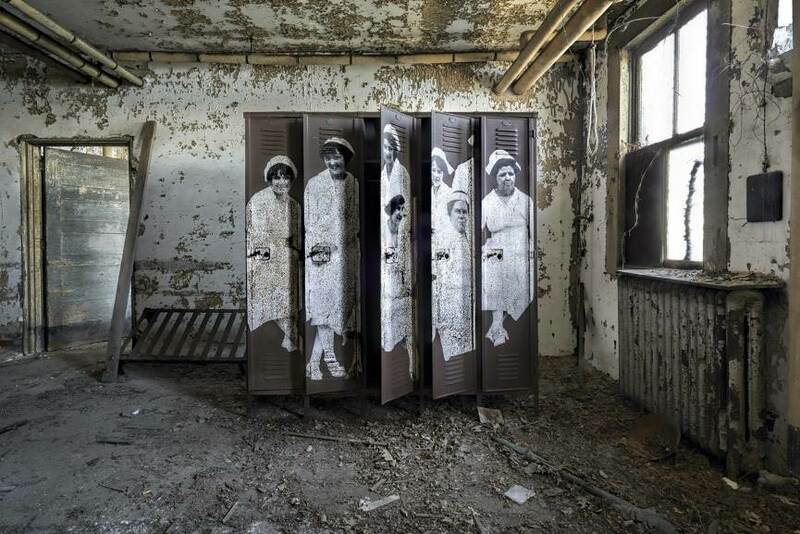 The upcoming JR exhibition carries the name of its author and will include works from his ongoing Les Bosquets and Unframed Ellis Island series. The JR show will feature a mix of color prints and the Parisian artist’s signature wood mounted monochromatic paper pieces, that will be displayed over two floors of the gallery space. Unframed Ellis Island project commemorates the lives of millions of immigrants who came to the United States through Ellis Island. The artist believes that their presence and determination have formed the modern world we live in today. 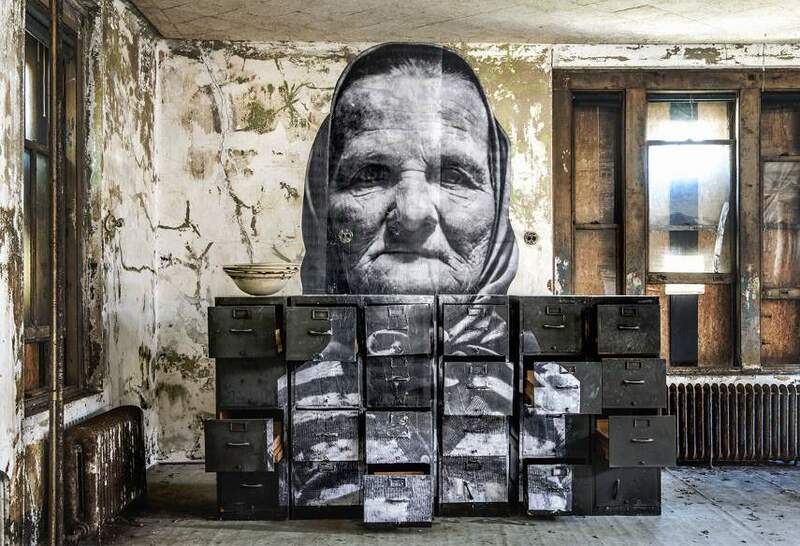 JR has done extensive research before producing a series of installations that recreate their life stories and hardships they had to endure on their journey to a better future. Les Bouquets series begun in 2014, when JR invited New York City Ballet and Company dancers to collaborate on the large-scale art installation. Later on, the artist carried out a similar project in Paris. He created an authentic photographic series by shooting Opéra de Paris ballet dancing company on the roof of Paris Opera house. Artworks that will be presented at JR exhibition draw from both the installation in New York and the intervention in Paris. A Monograph that Wonders Can Art Change the World? Additionally, comprehensive retrospective monograph will be released during JR exhibition. 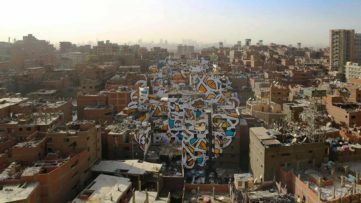 The publication titled JR: Can Art Change the World? contains numerous never-before-seen images of some of his most provocative large scale photography projects and will be released on October 12th. The monograph follows JR’s work from his studios in Paris and New York to the streets of numerous cities all over the world. This extensive art book covers the entirety of artist’s work including collaborations with other artists and institutions and can be pre-ordered at publisher’s website. 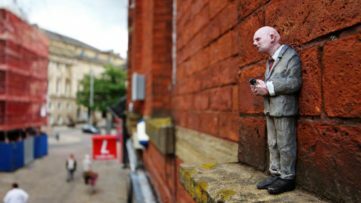 The visitors of Lazarides Rathbone gallery will have the chance to explore the world of JR through the juxtaposition of his two widely acclaimed series. JR exhibition will open on October 16th and will run till November 12th, 2015 at this prominent London’s gallery. During the exhibition a short film titled Les Bosquets will premiere in London. The movie is inspired by the 2005 riots in the French ghettos as well as the artist’s first art project that took place in Bosquets community in Montfermeil. Les Bosquets is a combination of a video archive, ballet and personal biography, that portrays the collision of art, social revolt and personal experiences. This short film is already on show in Paris at the ongoing DECADE, Portrait dune génération exhibition at Galerie Perrotin. Art comes in many shapes and form. Sign up for My Widewalls and discover them all for FREE!